The climate on the island is pleasant and cool and the flora and fauna are extremely various. Each beach in this island brings a majestic beauty with clear and emerald water. 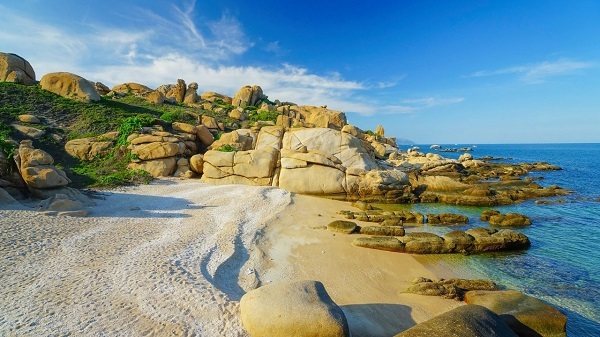 Low tide reveals countless shell and coral reef, which attracts travelers much. Surrounding the island is thousands of stone blocks with different colors and shapes as a masterpiece of nature. This island is a wise choice for those who love the sea, expect to explore the wild nature, enjoy the tranquility of peaceful island. There are 2 divided distinct seasons in this island. From January to June based, the sea is quite calm and many boats anchor along the coast. 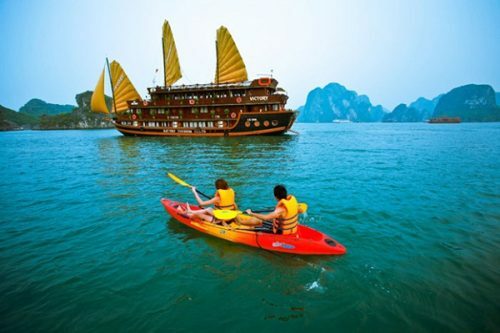 The climate is cool and fresh, which is a favorable condition to go around and explore the beauty of Cu Lao Cau. While from June to September, the sea is rough and the air becomes cold. It is not idea time to travel here. 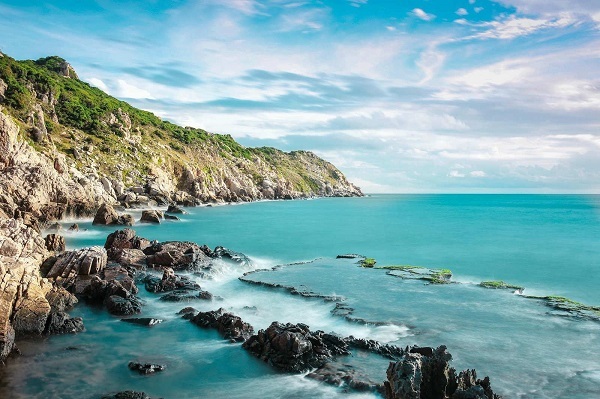 Cu Lao Cau is one of the best marine ecological environment in Vietnam, the marine reserve in Binh Thuan province. The water is so clean and clear that you can see each flock of fishes swimming underneath. Coming here, visitors can immerse themselves into the water. Guests can also join scuba diving to discover the vast coral reefs. It is a challenge to travelers to explore the mystical world lying inside the sea. A one-day trip to explore the glorious beauty of this small island can offer travelers a miss. 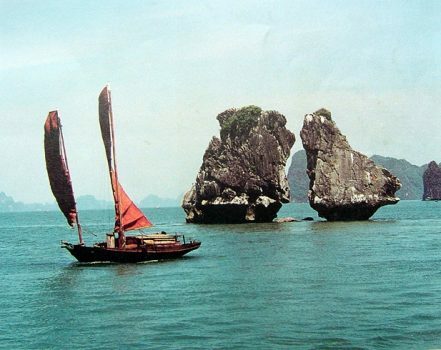 Many destinations here are given the name by local people such as Love Cave, Tien beach, Ba Hon Cave and so on. The nature favor Cu Lao Cau when giving it a pleasant and cool atmosphere. 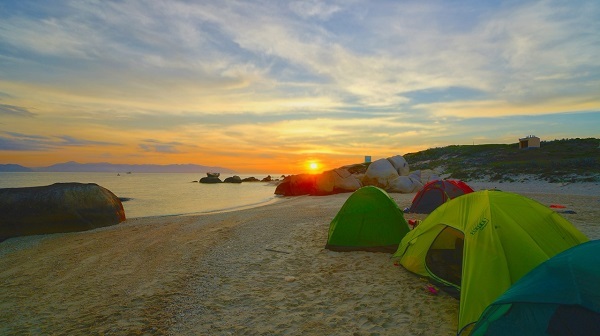 It is great to hold camping here with the BBQ party on the beach in the evening. Because the tourism has not developed in this island, the preparation for a perfect part is necessary. Especially, let’s try one time. Sit on the beach at night to hear the sound of the sea, lie on the beach to watch the stunningly sparking starts and feel the night life in this most unspoiled island. As the sea has many types of fish, visitors can self-equip fishing rods and reward themselves with the newly caught grilled fish that still has the salty taste of the sea. Cu Lao Cau also is a great source of snails, crabs or other seafood., . The seafood here is extremely rich and cheap; therefore, add more seafood to your party and enjoy the full flavor of the sea. There is such a fascinating beauty but Cu Lao Cau is not as hustling and bustling as other islands in the Northern of Vietnam. The island still retains the pristine beauty, so it is idea place to get out of stressful life and take a rest. Put up your bag and come here as soon as possible.